January 4, 2011	10:48 AM CDT By W. T. Whitney Jr.
Foreign intervention is Haiti is as problematic as ever. Interviewed by the Swiss daily Le Temps, Brazilian diplomat Ricardo Seitenfus said as much. When the interview was published on December 20, the Organization of American States fired him as its representative in Haiti. 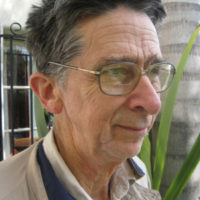 Seitenfus blamed foreign aid agencies for using Haiti as a laboratory, as “a country of professional formation” offering “free rein” to all kinds of humanitarian experimentation. “There is an evil or perverse relationship between the NGOs’ strength and the Haitian state’s weakness,” he said. Seitenfus’ critique applies to $30 million in foreign funds used to pay for national elections on November 28. Exiled president Jean-Bertrand Aristide’s Lavalas Party, the country’s most popular, was excluded. Over 200,000 dead earthquake victims appeared on the election rolls. Polling stations declined from 12,000 in 2000 to 1,000 last year. 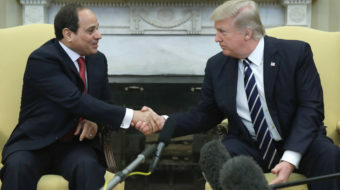 The turnout then was 23 percent, down markedly from the 70 percent – 80 percent voter participation in elections prior to 2004, when a U.S.-mediated coup removed Aristide. Foreign honchos are preparing now for second-round voting. Citing WikiLeaks documents, Mark Weisbrot of the Center for Economic and Policy Research recently explored U.S. motives in Haiti. The documents demonstrate U.S. concern that progressive regional governments, especially Venezuela’s, will influence Haiti. They show U.S. diplomats lining up a Brazilian-controlled UN troop presence in Haiti before and after Aristide’s removal. A study released in December by the Robert F. Kennedy Center for Justice and Human Rights and other groups highlights the negative effects of U.S. food aid on agricultural and human sustainability. 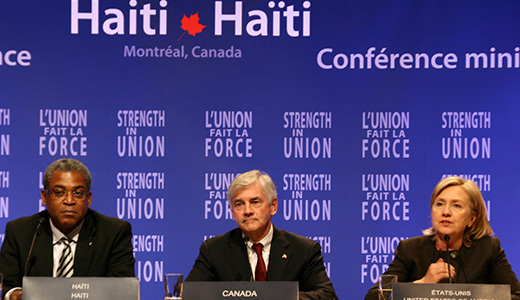 Titled in part “The Impact of U.S. Food Aid on Human Rights in Haiti,” the report is available at the center’s website. Haitian farmers 24 years ago produced 80 percent of the country’s food, but only 42 percent two years ago. Ten percent of children suffer from severe, acute malnourishment. Thirty-three percent are chronically malnourished. Information provided by this report and by Weisbrot and Seitenfus makes it clear that the undoing of Haiti’s independence, gradually unraveling over two centuries, has in our era been achieved. Human rights in such circumstances become an afterthought. That is reason enough for progressive Americans to take up Haiti’s cause, now.